Finding dairy-free meal replacement products and supplements may be intimidating if you’re new to the process. But don’t worry -- we’ve put together a few guidelines and a list of all the best options when it comes to the best dairy-free meal replacement shakes. First, we’ll do a quick run through what you should be on the lookout for related to ingredients in meal replacement shakes. Some of these guidelines are more across-the-board than specific to dairy-free options, but we’ll talk about some of the qualities unique to dairy-free products, too. Then, we’ll get into the countdown of the best meal replacement shakes without dairy, which will include a summary of the product as a whole as well as a list of pros and cons for each product. If you’re new to meal replacement shakes and what they’re all about, let’s talk about some of the key elements for which you should keep an eye out. 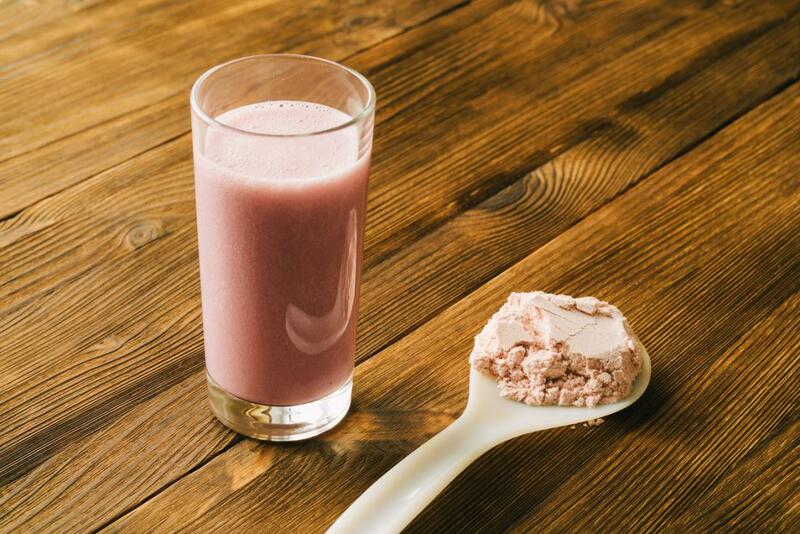 Meal replacement shakes are at their best when they are high in calories and nutrients — and especially protein. Remember, you’re replacing an entire meal out of your day with a shake, so it needs to have enough to it that you won’t stay hungry, and it needs to provide adequate nutrients, too. If you lead an on-the-go lifestyle and need to eat something in between work and soccer practice that ideally doesn’t involve golden arches or burger royalty, then a meal replacement shake is probably the correct move for you. There are a surprising number of dairy-free meal replacement shakes for weight loss out there, including some products that are both gluten and dairy-free meal replacement shakes. Once again, high-calorie counts are vital to the viability of meal replacement shakes without dairy, so we’ll be sure to highlight their totals. 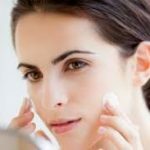 Additionally, protein levels are essential to keep an eye out for, as well as other nutrients and unexpected, additional benefits that some products provide, giving them an edge over others. If you’re looking for dairy-free shakes as a meal replacement, then you’re in the right spot. Let’s take a look. Ample V is shipped in pre-portioned containers to which you’ll just need to add cold milk or water in order to prepare your meal. RSP TrueFit is an all-natural, grass-fed protein shake that is filled with essential amino acids while remaining dairy-free and non-GMO. Flavors range from chocolate and salted caramel to strawberry, vanilla, and vanilla chai, with the starter kit includes both chocolate and vanilla. It will arrive at your door in a large, 1.8-pound bag of powder. Ensure Enlive is a meal replacement shake that has been scientifically designed to enhance your strength and energy. 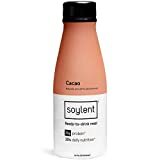 Soylent offers its dairy-free and gluten-free meal replacement shake in four flavors: original, strawberry, vanilla, and cacao. The product includes 28 grams of lean, complete plant protein powder — perfect if you’re on the lookout for a dairy-free meal replacement shake for weight loss. The mixture of protein includes hemp and pea proteins as well as flaxseed, and all vegetables and greens — leafy greens, green algae, and peas. Herbalife is a well-known brand that makes a host of products, including Healthy Meal, a delicious meal replacement shake that checks plenty of boxes. 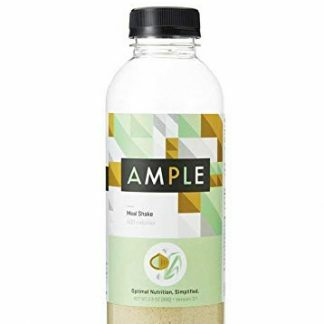 As a company, Ample is all about ingredients that are completely natural, including non-GMO and free of BPA and artificial sweeteners. If you’re looking for something that is gluten-, soy-, and dairy-free, then you’ll want to make sure to check out Ample V, their vegan formula. Ample V is all of the above and is composed of 54 percent premium fats, 27 percent protein, and 19 percent carbohydrates. 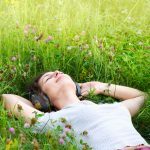 This breakdown is conducive to giving you a feeling of fullness and won’t have you reaching for unhealthy foods to fill you up. Plus, all inclusions are entirely organic. This shake is a whopping 600 calories — the highest total we reviewed for this article. Again, don’t worry about not being full after you enjoy one of these. And the taste is fantastic, with a rich yet mildly sweet, nutty flavor with just a little bit of cinnamon. Ample V is shipped in pre-portioned containers to which you’ll just need to add cold milk or water in order to prepare your meal. This product eliminates the need to store a massive container of powder or rely on the typically so-so blend of nutrients in ready-to-drink products. Ample V checks all of the boxes and was easily our No. 1 pick when it comes to the best non-dairy meal replacement shakes. 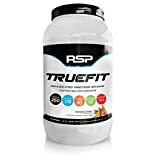 There are a whopping 25 grams of grass-fed whey protein in each serving of RSP TrueFit, plus five grams of the aforementioned naturally-occurring branched chain amino acids (BCAAs) and four grams of glutamine and glutamic acid. The protein is sourced from farms in the United States and derived from pasture-raised cows that are not treated with growth hormones of any kind. 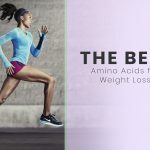 The formula is lean and packed with real food ingredients, including 12 fruits and vegetables and 16 essential vitamins and minerals, including calcium and vitamin B. Plus, there are plenty of probiotics and enzymes, including eight grams of fiber derived from sweet potato powder and low-glycemic carbs. 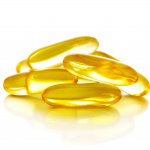 There are up to four grams of healthy fats in each serving, too. This well-rounded meal replacement shake is perfect for practically any use, including as a post-workout supplement. RSP TrueFit is only 170 calories per serving, which is a bit lower than is idea. It can be purchased in four different flavors: unflavored, vanilla, chocolate, and cinnamon churro. The plant-based meal replacement shakes from 310 are not only dairy-free but are also gluten-free and sugar-free all the way through. Plus, there are zero artificial flavorings and sweeteners included. 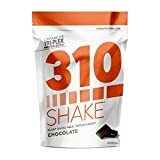 The 310 meal replacement shakes include 15 grams of Tri-plex proteins, including pea, hemp protein, and brown rice. And as long as we’re talking about added benefits, don’t overlook the high concentration of fiber in 310. Fiber interacts with protein to assist in lean muscle growth, development, and maintenance. The only real downside to 310 is the relatively low-calorie count; there are only 90 calories per serving in this product. In clear contrast to Nos. 1 and 2 on our list, you’ll want to consider supplementing your helping of 310 with some fruit, nuts, or another healthy snack to keep your appetite in check. The dairy-free and gluten-free product has 20 grams of high-quality protein — a huge number for a ready-to-drink shake. There are also plenty of antioxidants present, including vitamins C and E and selenium, plus 120 percent your daily value of vitamin D.
The nutrients that are packed into Ensure Enlive support muscle, bone, heart, digestive, and immune health, and include 350 calories per serving. 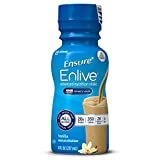 Don’t worry about supplementing your supplement with additional snacks; 350 calories should be adequate for any meal that you might be replacing with Ensure Enlive. You can purchase this dairy-free shake as a meal replacement in milk chocolate, vanilla, or strawberry flavors. Soylent’s meal replacement shake includes 400 calories and 20 grams of protein per serving -- solid totals that should help curb your appetite. The product is vegan-friendly and plant-based including soy protein isolate and essential vitamins and minerals. In an added bonus, Soylent contains L-Theanine, which is an amino acid derived from green tea that works to counteract jittery effects that may come from caffeine — an obvious benefit for anyone that caffeine affects significantly. Soylent does include 150mg of caffeine, or about what you’ll find in a cup of coffee, so it’s a key addition to be sure. Soylent is a ready-to-drink option and is a perfect fit for anyone who works out in the morning and heads straight from the gym to work. Its ultra-healthy ingredients and no-prep-required construction are perfect for busy folks who are looking to stay healthy with dairy-free options. Garden of Life is yet another dairy-free meal replacement shake that also qualifies as vegan. 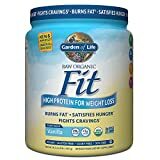 Garden of Life Organic Meal Replacement is kosher and non-GMO with plant-based protein powder. It is, of course, USDA-certified organic. The product includes 28 grams of lean, complete plant protein powder — perfect if you’re on the lookout for a dairy-free meal replacement shake for weight loss. 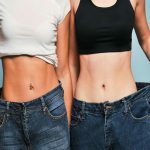 Additionally, you’ll find green coffee bean extract and raw chromium and organic cinnamon included in order to assist in the burning of fat, as well as to maintain healthy blood sugar levels. You’ll receive 36 percent of your daily value of fiber included in Garden of Life, too, providing yet another assist to muscle growth and maintenance, plus help for your digestive system. You can order Garden of Life in a small container (16.1 ounces), large container (32.2 ounces), or 10 1.6-ounce packets, with flavors to choose from including vanilla, vanilla chai, lightly sweet, and chocolate. The 170 calories per serving is squarely middle-of-the-pack in this group of dairy-free meal replacement shakes but is the only real potential downside to the Garden of Life product. Vega Essentials Shake is another meal replacement shake without dairy that is made with real, plant-based food ingredients. It is not only dairy-free but is also gluten-free, non-GMO, and certified vegan while including no wheat or artificial flavors or colors. There are 20 grams of complete plant-based protein in each serving. The mixture of protein includes hemp and pea proteins as well as flaxseed, and all vegetables and greens — leafy greens, green algae, and peas. Vega has 12 vitamins and minerals, including Omega-3, and about 16 percent of your daily value in fiber. The only real downside to this product is that it is only 140 calories per serving, so you may want to consider planning to enjoy your shake alongside some delicious fruit or some kind of healthy snack. You can find Vega Essentials Shake in chocolate, vanilla, or mocha, and can purchase in a tub that includes 17 to 18 servings or in a 12-pack of individual serving pouches. The Allergen-Free Vanilla flavor is dairy-free, gluten-free, and soy-free and includes zero cholesterol and trans fat. It does include nine grams of protein and healthy fiber that assist in the building of muscles as well as weight management. To assist in digestion of the protein, Herbalife also includes aminogen, bromelain, and papain. And that’s not all. You’ll also find 20 vitamins, minerals, and essential nutrients, including antioxidant vitamins C and E.
Be sure to select the Allergen-Free Vanilla flavor, as the other flavors of Herbalife don’t make the same claims regarding dairy, gluten, and soy. The product has 200 calories per serving, so it’s fairly middle-of-the-road in that category. It is packaged in a large container of powder. Okay, let’s sum all of this up — there are certainly more dairy-free meal replacement shake options to choose from than many folks expect! Of course, it’s always a good idea to do a quick double-check of the nutritional facts on the side of whatever product you’re about to purchase, so if getting a dairy-free meal replacement shake is essential to you, we’d recommend confirming that there is indeed no dairy. As we discussed earlier, make sure to pay attention to a few key numbers that you’ll find on said nutritional facts label. Outside of the dairy-free status (and this could be represented as “dairy-free” or “lactose-free”), the number of calories is probably the next most important item to be privy to. As a general rule, the more calories that are included, the more filling the product will be. The products on this list ranged from 90 calories all the way up to 600 calories per serving, so again: pay close attention. And to be clear, those lower-calorie options are fine, just be prepared to supplement with something healthy if hunger strikes. The other number to note is the amount of protein. This list included some shakes with protein totals as small as nine grams, with others north of 25 grams per serving. In addition to helping to curb your appetite, protein has added benefits when it comes to muscle growth and development. 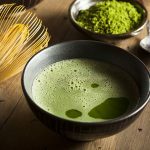 Some additional benefits to keep an eye on could include anything from the inclusion of real fruits and vegetables, plenty of vitamins, minerals, and amino acids, additional antioxidants, or unique blends of protein. 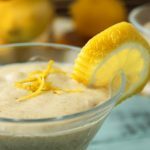 You can even find a shake or two on this list that are low-glycemic, meaning that your body will digest the shake more slowly, allowing maximum benefits to be absorbed. Flavors can be fairly hit and miss, although the eight products listed here largely had solid reviews when it comes to flavor. While some meal replacement products have a chalky, gritty taste, the vast majority that we reviewed and placed on this list were a bit smoother and included rich overall taste. And yes, you can grab your dairy-free meal replacement shakes at Walmart, but simply purchasing online and getting your product delivered straight to your door is probably the easiest method. As always, consult with your physician before making any changes to your diet or exercise routine. Obviously, meal replacement shakes would be a departure from a “normal” diet, and if it’s a new change for you, then have a conversation with your doctor. And while meal replacement shakes can absolutely be part of a balanced and extremely healthy diet, it’s best to confirm with your physician. Hopefully, our list of the best dairy-free meal replacement shakes on the market has been helpful. Double-check the ingredient list, make sure you’re purchasing the correct flavor and size of container, and get to meal replacing with a delicious, dairy-free shake!